Do come along to an informal fun night of musical entertainment (tea and biscuits available at the interval). No entry/admission charge but donations at the door will be passed to the Craigalbert Centre. There will be a fund-raising event for the Scottish Bible Society, featuring the Campsie Accordion & Fiddle Club, on Tuesday 26th May (this Tuesday) at 7.30pm in St,Mungo’s Parish Church in the Town Centre, Cumbernauld. Tickets are priced £5 (£1 for children under 12) and include tea and biscuits. St Mungo’s Parish Church is the venue for a praise concert by Abronhill Church’s praise band ‘Simcha’ on Friday 21 March at 7.30pm. 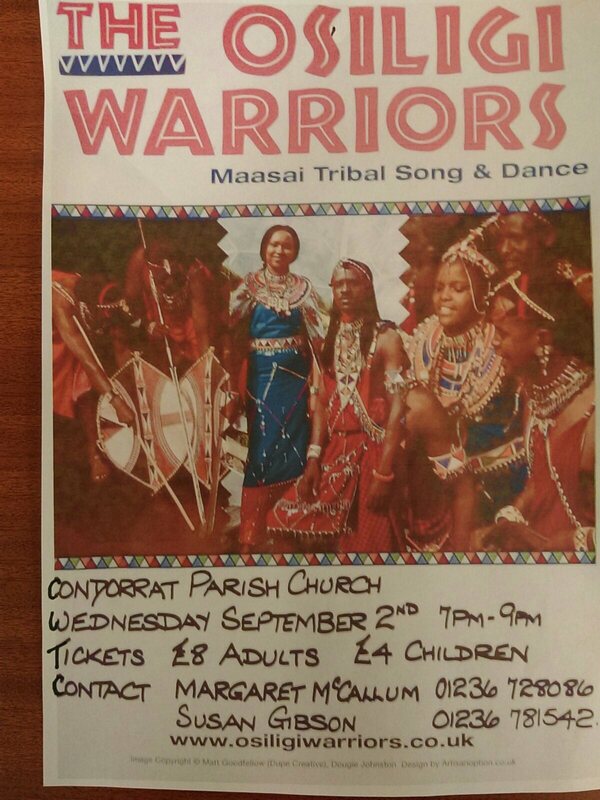 This is a fundraising event in aid of the Scottish Bible Society. Tickets are available from Margaret and Alex Howie of St Mungo’s or you can pay on the night, priced only £4 which includes tea and coffee. It’s a fact: Condorrat does have talent! Friday night’s concert was a great success and was thoroughly enjoyed by all. We were entertained by performers young and not so young and the grand sum of £854 was raised for the Sanctuary Refurbishment Project. Congratulations and a big THANK YOU to the organisers and performers and thanks to an enthusiastic audience for their support. It has just been intimated that there will be a concert in Cumbernauld Old Parish Church on Tuesday 11th March at 7.30pm. The concert will feature young musicians from St Mary’s Music School in Edinburgh and has been organised by one of our members as a fund-raiser for church funds. Some of the young people have played previously at our summer fair and we have been told that the music on the night will be a selection to suit all tastes. We would be delighted if as many people as possible would come along, support the young musicians and make the evening a success. Tickets will be available at church next Sunday and also on the night for a (yet-to-be-suggested) donation.